It's that time of year when we start thinking about how to expand our Christmas music collection. This year I bought Johnny Cash's Christmas album and re-bought Diana's Wonderful Christmas Time CD. What is your #1 favorite Christmas album you couldn't do without? For me it is a classic... Merry Christmas from Brenda Lee. Something about this transcends all my other favs. Maybe because it has received no acclaim, never been on CD in the US, but is from a happier, more prosperous time. Ella Wishes You a Swinging Christmas is a VERY close second. If you could only recommend one album, whose would it be? Oh man, the Jackson 5 Christmas album played for years in our house. It's still my favorite Christmas album. But my favorite Christmas song is "Please Come Home Christmas" by Charles Brown, followed by Donny Hathaway's "This Christmas". Hmmm...Well as far as full albums go, I'm a huge fan of the Motown Christmas' (Supremes, Miracles, Tempts, Stevie, J5, Diana Ross). The Phil Specter Christmas album always gets a lot of play from me. Natalie Cole's Holly and Ivy and The Magic of Christmas is in constant rotation. James Brown's A Soulful Christmas is great. Funky Christmas from Cotillion with Luther, Margie Joseph, the Impressions and others, is another one that I love. It's Christmas by Mandisa. Christmas All Over the World by New Edition. Profile Records' Christmas Rap from 1987 with Run DMC, Sweet Tee, Spyder D and others. And believe it or not, Kathie Lee Gifford's Christmas album from the 90s. I pull it out every year. Now which of those albums are my favorite? I don't know if I could choose. But I must note that I'm not as big a collector of Christmas albums as I am individual Christmas songs, especially since a lot of artists will record one or two Christmas songs but not full Christmas albums. There's a ton of Christmas songs by particular artists that I love. I'm going to have to check out this one. I love Johnny's voice and imagine it well suited to Christmas music. I'm always into a jazz flow, laid back, relaxing soulful holiday listening. I have a lot of holiday music, but these are my favorites that I play for the holidays. And, of course, the album to kick off the season, Give Love at Christmas by The Temptations. This one here. It came out in the 60s. I think my Dad got it free with a fill up at a gas station. Now it costs $145.00! Pretty sure I can go over Mom and Dad's right now and pull this out, Marv. I might just do it so I can put it on digital so they can listen to it on their computer this Christmas. 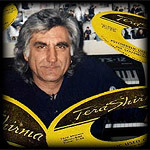 RanRan, Johnny has had 5 or 6 Christmas albums through the years. This was his first one and I consider it a classic LP. I think you'll really enjoy this. Jerry, my Mom still has our copy. It's cover is held together now with scotch tape. LOL! It would great to have that on a disc after all these years. It was first released for Christmas 1964. If you do digitalize this album, remember me? Dang! I can't tell you how many times I've seen that album at Goodwill and never ONCE did I buy it, Lol! We were basically a singles/45 family, as I remember growing up. Donny Hathaway's "This Christmas", Charles Brown's "Please Come Home for Christmas" and the Temptations' "Rudolph the Red-Nosed Reindeer" are the songs I remember hearing the most. 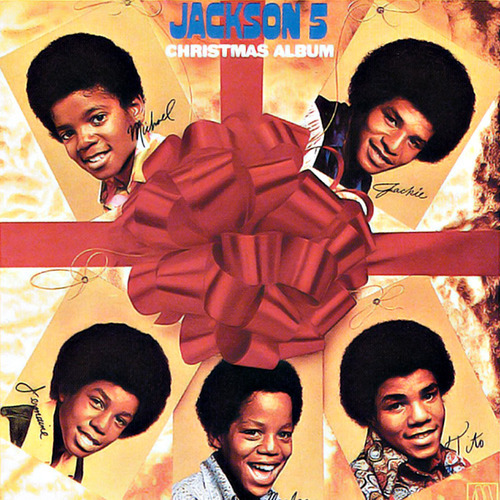 I also remember hearing the J5's Christmas Album at a Christmas Party in around 2nd grade, so that would be my pick. Why wasn't there a 60s Marvin Gaye or Four Tops Christmas album? Most definitely. Of course that is contingent on how many ticks and pops and whether I want to take the effort to clean it up. I see them every weekend so I'll look for it on Sunday. At $145.00, it may be too expensive now. hehehehehehehe! Thanks Jerry, you're a Boss! Lockhartgary, all of those got played at our house and including the O'Jays "Christmas Just Ain't Christmas Without the One You Love", The James Brown Christmas album and the Supremes "Merry Christmas" album. I'll have to look into Roberta and Dianne's Christmas albums. Thanks for the recommendation Thom! Believe it or not, when I was typing my original post and listing my Motown favorites, it was suddenly glaringly obvious that my favorite male singer of all time Marvin Gaye was conspicuously absent from that list, despite recording a couple of really nice holiday tunes. I wondered to myself why he never got a holiday album. Vocally and artistically, Marvin was in line for Gordy's crossover dreams, so it would seem like a natural idea to have him record a Christmas album. The same with the Tops. Both Marvin and the Tops were among Motown's biggest and successful, so it would've made sense to capitalize on that with holiday albums. I guarantee both would've been legit classics. Still powerful and exciting after all these years. You can almost feel the walls shaking at Gold Star! A Dramatic Christmas by the Dramatics from 1997, an album people tend to forget. Actually they forgot it already at the time of its release :-). First of all, I'm Jewish, so we didn't celebrate Christmas. But, I did listen to the R&B stations and programmes, so, I heard Christmas music, the same way I hard Gospel music. I bought mostly 45s. So, I have hundreds of Christmas songs on 45s, by The Five Keys, Orioles, Ravens, Larks, Moonglows, Flamingos, Platters, Drifters, Harptones, Heatbeats, Cadillacs, Delta Rhythm Boys, Charles Brown, Lowell Fulson, Miracles, Temptations, etc. I have Christmas LPs by The Orioles, Platters, and Phil Spector's Philles Christmas LP. I have Johnny Mathis', and a Nat Cole Christmas LP, too. I might have 5 or 6 more, I can't remember. But, I almost never played Christmas LPs straight through. I had made a series of 90-minute tapes of rare R&B/Soul Christmas songs from 45s, that we almost never heard on the radio. I'm just gonna drop this right here for those who want to hear it. One of the greatest doo wop arrangements ever, in my opinion. A Christmas Gift For You From Phillies Records (Crystals, Ronettes, Darlene Love & Bob B. Soxx & the Blue Jeans) is the ULTIMATE Christmas Record. Since Nov.1963 that has been THE Christmas music in my household. Yes! One of my all time favorites. Very similar to the Ravens arrangement from 1948.